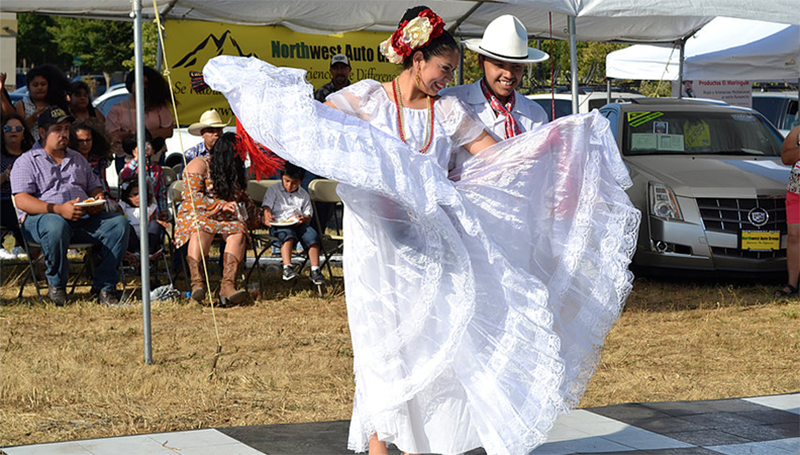 Noche Cultural returns to the Eugene-Springfield area for its third year, giving local families a look into local Mexican heritage, culture and history. The cultural night event runs 3-10 p.m., Saturday, Aug. 18, and will feature food, music, dancing and more. There will be a Charrería exhibition from 6 to 8 p.m. followed by live music and an open dance floor until 10 p.m.
Charrería is the historic sport of horsemanship and cattle work that began in the mid 1500s after Spanish settlers decided to hire indigenous people as herdsmen. After nearly five centuries of roping, revolution and unification, the sport became the official sport of Mexico. Among the Mexican style food carts will be a beer garden for adults 21 and older. The event will happen rain or shine at Willamalane’s outdoor area at 250 S. 32nd St. in Springfield. During the day, there will be various activities in the children’s area such as piñatas, sack racing, soccer playing, face paintings and horseback riding. Not far from the children’s area will be informational booths, where families can learn about local organizations, participate in artistic activities and ride a horse in the arena area. UO staff members and students will have a presence at the event. Representatives of the Center for Latino Latina and Latin American Studies will have a booth, where they will feature profiles of Latino families in Oregon. UO is co-sponsoring the event with a number of other local organizations including the Willamalane Park and Recreation District, local law firms, banks, Springfield Arts Commission and Lane Community College. Last year, Noche Cultural’s attendance nearly doubled from 1,200 to 2,400 attendees. Organizers hope to meet last year’s growth and attract some 4,000-4500 attendees. In the future, Huerta said, Noche Cultural is aiming to be more financially self-sufficient and possibly start a scholarship program for local students. “It’s a great opportunity to come and experience a cultural tradition of Mexico with so much history and cultural value. It is a great opportunity,” he said. Pre-sale tickets can be purchased online or at specified local retailers for $15. Tickets will be $20 at the door on the day of the event. With plenty of parking around the venue, Noche Cultural will be a great summer highlight in the Eugene and Springfield communities. For more about the event or for ticket information, visit the Noche Cultural website.